Solidfloor is one of the flooring brands of the century old Fetim Group. Fetim Group is an internationally operating company specialising in the development, design, sales and marketing of flooring and home decoration products. Solidfloor is one of the leaders in wood floor supply and has presence in around 30 countries. Solidfloor develops wooden floor according to the current techniques and trends and works with designers like Piet Boon. It provides flooring solutions to not only homeowners but also to interior designers of hotels, holiday homes and offices. It supplies products that are safe and environment friendly. Originals: They are the very basic of flooring options offered by Solidfloor. They include Calgary, St Louis, Lexington and Houston products to name a few. Lifestyle: Consists of wooden floors in natural colours. Includes Montreal, Phoenix, Anchorage and Lake Drummont etc. Earth and Fire: This collection has bold and intense colours that have been inspired by the beauty of nature. Moose, St. Helens, Yubaand Yampa are some of the product names in this collection. 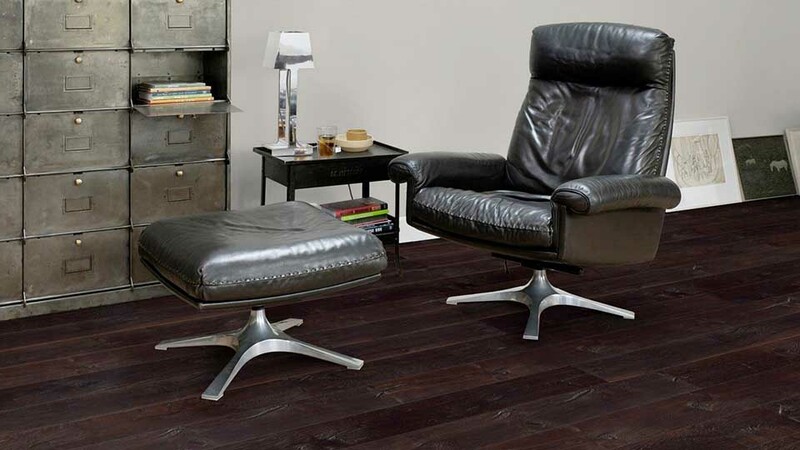 Vintage: This collection has natural colours and gives a weathered appearance to the floor. Some of the products in this collection are Maine, Oregon, Vermont, Nebraska etc. New Classics: Includes classic and stylish patterns like Windsor, Louvre, St. Paul’s and Notre Dame Etc. Apart from the standard designs and patterns, Solidfloor also offers a unique opportunity to the customers to create their own flooring design. They offer you 5 Flooring patterns to choose from with variety of colour options. The flooring design that you create is displayed online. You can also view your flooring design in a more natural setting like that of a living room. This helps the customers to use their own creativity and come up with patterns that would suit their home or workplace the best. They also have a floor advisor that helps in narrowing down the name of available Solidfloor product that matches your colour, finish and collection specifications. For people you love designer labels, Solidfloor has teamed up with Piet Boon to come up with styles and patterns that are different from the regular patterns. Solidfloor has a broad range of offers that fulfill each and every customers wish. Installation Instructions: For customers wanting to install their floor themselves Solidfloor offers a detailed installation instruction manual. Right from the tools needed to taking care of the subfloors the manual has everything a customer would need to know about the installation process. Maintenance services: In order for the floor to remain in good condition and to increase its life Solidfloor offers Hardwax Oil and Wood Cleaner. Guidelines for under floor heating and cooling: Solidfloor offers guidelines to be followed related to under floor heating and cooling while installing the wooden floor. In fact, the guarantee offered by Solidfloor will apply only if its guidelines are followed. This ensures that your home remains comfortable. Guarantee: Solidfloor offers a 25 year guarantee for its wooden floor collection. Outlets: Has showrooms in around 30 countries and you can find an outlet nearest to your city online. Is the most sustainable, safe and standard wooden flooring brand that would suit each and every customer’s needs and budget. Fill out this short form below for more information on our services. NYC Showroom 425 W 46th St.
Due to high volume of appointments, this schedule is subject to confirmation. We will contact you shortly to confirm this appointment.